Published on November 3, 2016 February 6, 2017 by Nieves I. To detoxify the body, as well as lose weight, it is important to eat whole foods. Whole foods are sustainable for the body and will have a good effect on your weight. Your body will be able to burn fat easier and will make you look slimmer. When you make a home-made soup, put in natural, whole foods. A soup with broth, lean protein, and green leafy vegetables is filling, heals the body and detoxifies the body. It is also a low-calorie meal because you are filling your body with important nutrients as opposed to “empty” calories. Since the food is nutrient dense, you will feel fuller after eating natural whole foods. Make sure to fill your shopping cart with lean meats, vegetables, and fruits. These products, as you will notice, are toward the edges of the supermarkets. Stay away from the aisles inside of the supermarket. These aisles are full of foods that contain a lot of carbohydrates and sugars. Those foods are highly processed and bad for your body. Broth and almond milk are low in calories and high in protein. You can drink almond milk alone or in smoothies. 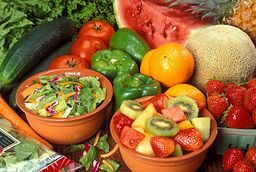 The whole food approach improves energy, promotes long-term weight loss, is anti-inflammatory and has good flavor. Most importantly, whole foods are natural. 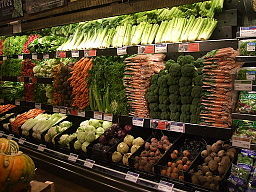 Whole foods are foods that have not been refined or processed. They are foods that do not have additives or artificial man-made substances. Your body has a desire to maintain a natural balance. Feeding your body natural foods that have not been altered is what will produce lasting results. 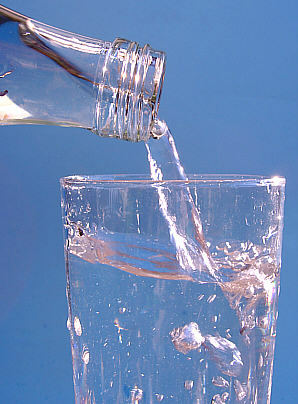 1- Water: Our body is 70% water. This means that we MUST drink water to make all systems of the body work efficiently. If there is not enough water in our body, then the equilibrium balance in your body will be shifted. Water composes a big part of our blood that transports the red blood cells, white blood cells, and lymphatic cells. It transports nutrients such as protein, glucose, vitamins, enzymes, and cofactors. Water is needed in every cell of the body to perform their metabolic functions. The kidney is an organ in your body that detoxifies your body. It needs water to flush the toxins out of the body. The gastrointestinal system needs water to digest and eliminate the food. The heart and the circulatory system need water to make the flow of blood easy and smooth through the whole body from head to toes and back up again. Without water, the cells would be shriveled up and die. Your body is composed of trillions and trillions of cells. Your tissues, organs, and organ systems are all made up of cells. All of these cells need water to function. The average adult needs to drink about eight glasses of water per day in normal conditions (with average physical exercise) to help the body function well. More physical exercise means that you need a greater intake of water. 2- Fruits: Fruits are easy for the body to digest. They are high in antioxidants, fiber, nutrients, and vitamins. All these elements mixed with a high content of water makes them very good supplying your body with energy and nutrients. Among all fruits, citric fruits like lemons, oranges, and limes are especially good in detoxifying the body by helping the enzymes in the gastrointestinal system. Warm water with a lemon juice first thing in the morning helps to improve the detoxification process of the liver. This is because citric fruits have a high content of vitamin C, and this vitamin is highly beneficial to detoxification. 3.- Green Leafy Vegetables: Chlorophyll is a great detoxifier and is abundant in green foods like kale, blue-green algae, parsley, celery, wheatgrass, alfalfa, spiraling, spinach and other many other foods. Chlorophyll is found in the chloroplast of plant cells and is the reason that plants are green, and are able to go through photosynthesis. This means that leafy green vegetables are high in chlorophyll and are especially good for the body. Chlorophyll helps the liver get rid of toxic metals and pesticides in your body. It also gives a boost to the digestive tract, making digestion easier. The intestine then will absorb only what is needed and will get rid of what the body does not need. 4.- Garlic: Garlic stimulates the liver to produce detoxifying enzymes that will filter toxic residues from the digestive system. Garlic is one of the best detoxifying foods. 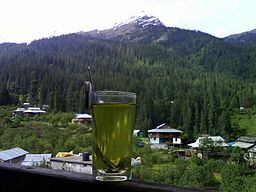 5.- Green Tea: Because of its liquid content, green tea helps to flush toxins. It has an antioxidant called “catechin” that helps the liver in its detoxifying function. 6.- Raw Vegetables: Raw vegetables have a high content of Sulfur and Glutathione, which help the liver to detoxify harmful substances from the body. Raw vegetables have a high content of fiber, vitamins, and antioxidants — especially onions, oregano, beets, garlic, cauliflower, kale, Brussels sprouts, cabbage, kelp, broccoli, asparagus, artichoke, carrots. 7.- Nuts and Seeds: Nuts and seeds support the detox system and are also a source of protein, fiber, vitamins, and healthy fats. Even though the fat content in nuts and seeds is high, eaten in moderation can help you lose weight. However, it is important to avoid nut butter if you want to lose weight. A hand full of nuts and seeds, such as flax seeds, pumpkin seeds, hemp seeds, chia seeds, sunflowers seeds, cashews, almonds, walnuts or Brazilian nuts, every other day will satisfy you and provide you with a dense nutrition content that is good for your health. 8.- Mung beans: These Chinese beans are low in calories and high in fiber. They have a high content of proteins “tannin” and “flavonoid”, these proteins bind and clear the body from pesticides, as well as, heavy metals like lead and mercury. Mung beans have some phytoestrogen. Phytoestrogen has anti-aging properties that stimulate the production of elastin and collagen on the skin. Mung beans have vitamins A, B, C, E, folic acid, potassium, magnesium, and zinc. Scientific studies have shown that Mung beans regulate the inflammatory response by inhibiting the release of the protein HBGB1. 9.- Omega 3 oils : Avocado, Olive Oil, Hemp Oil, Flaxseed oil, are good sources of Omega 3 and are good for detox and losing weight when eating or using on food in small quantities. Summary: Whole foods will help you lose weight, detoxify your body and help keep you healthy. There are a wide variety of whole foods including water, fruits, raw vegetables, green leafy vegetables, green tea, garlic, nuts and seeds, Mung beans and omega 3 oils. This article describes the important properties of this foods. Thank you for visiting my web page. Leave a comment in the comment section. If you like some of the products advertised on this web page buy I through the links and images on the page and will direct you to Amazon.com. The commission that I receive as an Amazon Affiliate does not increase the price of the product and will help the web page to continue bringing you with stories and articles that will inspire and help you to be healthy and keep a healthy weight. The articles presented here are for information only, it does not substitute the care of a Health Professional. Thank you for your support, it is greatly appreciated.